When trying to balance the family budget, there are a myriad of tools that are out there that can help make your life easier. Once such tool is automatic payments. However, as helpful as this tool can be, if you don’t use it correctly, it can actually harm more than it helps. 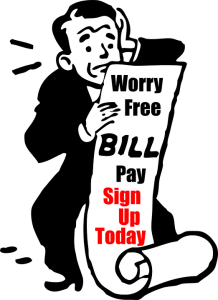 One of the big bonuses of using automatic bill payments is that your bills will be paid on time every month. This is convenient and it saves you time. If you are working to boost your credit score, the timely nature of automatic payments is helpful, as paying on time every time is a major factor in influencing your score. Although your payments are automatic, it is important that you still check and track them. Mistakes do happen and you don’t want to be penalized for late payments when it is a system error. Have a tracking system in place for your bills and set time aside every month to make sure everything is correct, much in the same way that you balance your chequebook. Make sure that you’ve got adequate money in your account to cover your automatic payments to avoid going into overdraft. This can be a little trickier if you are making payments that are variable (like for your credit cards). Many financial institutions will email you or text you a reminder that you’ve got a payment coming due. If you can, take advantage of that tool so that you don’t run up overdraft charges. Automated banking isn’t just for bill payments. Setting up automatic savings is a wise move too. It’s easier to make savings a seamless habit if it automatically comes off of your paycheque.